This summer the rawhide team and our trusty Teardrop trailer will be hitting the road (Not literally I hope. Last fall the Teardrop axle broke and really did hit the road)! We have several summer arts festivals lined up in Utah, Colorado and Wyoming. Starting out the season will be the Ogden Arts Festival in Ogden Utah on June 12th and 13th. This show has a small but select group of artists showing and we are happy to be one of them. The food and music entertainment looks awesome too! 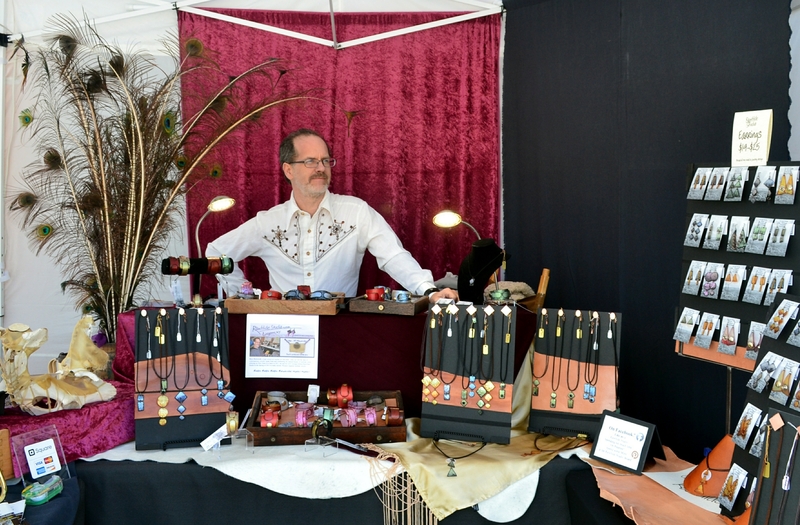 Next is the Steamboat Springs Arts Festival in Steamboat Colorado on July 11th and 12th. When August 8th and 9th rolls around you’ll find us in Ridgway Colorado, gateway to the beautiful San Juan Mountains, for the Ridgway Rendezvous. We round out the season with our favorite hometown show, The 17th Street Arts Fair. If you can make any of these festivals please stop by our booth and say howdy! We would love to see you! Dave looks over his Rawhide kingdom!